Medical or clinical wastes are wastes derived from the medical treatment of animals or humans or from bio-research. Medical or clinical wastes containing Category A infectious substances shall be assigned to UN 2814 or UN 2900 as appropriate. Medical or clinical wastes containing Category B infectious substances, or which are reasonably believed to have a low probability of containing infectious substances, shall be assigned to UN 3291 and shipped following Packing Instruction P621 (ICAO/IATA PI622) – this is not considered further in these guidelines. For the assignment, international, regional or national waste catalogues may be taken into account. The proper shipping name for UN 3291 is “CLINICAL WASTE, UNSPECIFIED, N.O.S.” or "(BIO) MEDICAL WASTE, N.O.S." or "REGULATED MEDICAL WASTE, N.O.S.". 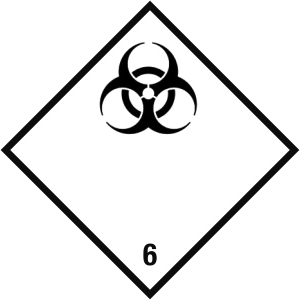 Decontaminated medical or clinical wastes which previously contained infectious substances are not subject to dangerous goods regulations unless they meet the criteria for inclusion in another class.